Reigning champ of smooth Montecristo White defends his title against sungrown slugger Hamilton House Robusto. Only your palate can decide the victor. Outstanding quality Cigar, Smooth, soft and so enjoyable I think I will order more!! 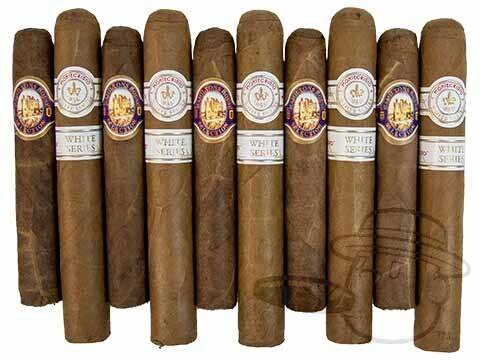 Bcp Battle Packs - Montecristo White Vs. Hamilton House is rated 4.7 out of 5 based on 3 customer ratings.